Join international yoga teacher Kirsty Gallagher and myself for a week of blissful self love and care, which will take you on a journey to awaken your inner and outer goddess. Daily yoga classes, with Kirsty, will help you to tap into your inner strength, wisdom, intuition and guidance. Morning vinyasa classes will bring you back into your own rhythm and flow, bring you into your heart and soul and set you up for your day. Evening yin classes will help you to find complete rest and relaxation helping you to switch off and completely let go. Stories of the goddess archetypes of yoga will be weaved into our practices helping you to find inspiration, guidance and awaken your own inner goddess. 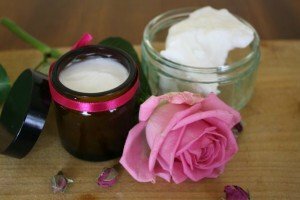 During our magical skincare product making workshops your outer goddess will be completely nourished and taken care of as I (Jan) teach you how to make your own body butters and oils, facial serums and creams, and shower scrubs and masks. You will learn about essential oils, carrier oils and different skin types. You will be encouraged to select exactly what you need, blending together a magical mix of skin care products just for you. Not only will you learn how to blend, mix and create your own products but you will also get products to use during your stay and you take away all the fabulous personalised products that you have made. No more shop bought self care products laden with chemicals and nasties…….at the end of this week you will have all the skills and knowledge you need to start making your own natural products. Your outer goddess will never have been so happy and well taken care of! Each afternoon you will be given free time, during which we encourage you to completely give in to your own needs. This may be curling up by the pool reading a book, wandering in the gorgeous French countryside or taking an afternoon nap. Whatever it is that your goddess self calls for is what we encourage you to do – just follow your own inner guidance towards what you really need. Wednesday is a little different as we leave the retreat centre to give Alex and Adrian a little break and also the chance to clean the rooms for us. On this day we will just do the one yoga practice 8.30-9:30am. After practice we will have breakfast, a shorter workshop, lunch at the usual time and then we go into a local town for the afternoon and enjoy an evening meal there together. Getting here is easy from the UK and the rest of Europe by taking a Eurostar/train/flight to Paris and then a train to Angouleme.The Eurostar can be booked all the way through from the UK (through http://loco2.com/) and is such an easy, hassle free way to travel and enjoy the beautiful scenery along the way...... We can arrange transfers from Angouleme station to Les Passeroses for 30 euros per person return. 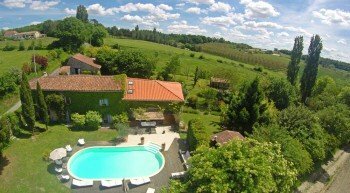 You can also fly to Bordeaux, but the transfer to Les Passeroses takes longer and is more expensive. For more information or to book, please contact me.